Why buy apples that are Unwaxed? And what does Unwaxed mean? | The Farm Gate by Nashdale Fruit Co.
Why buy apples that are Unwaxed? And what does Unwaxed mean? 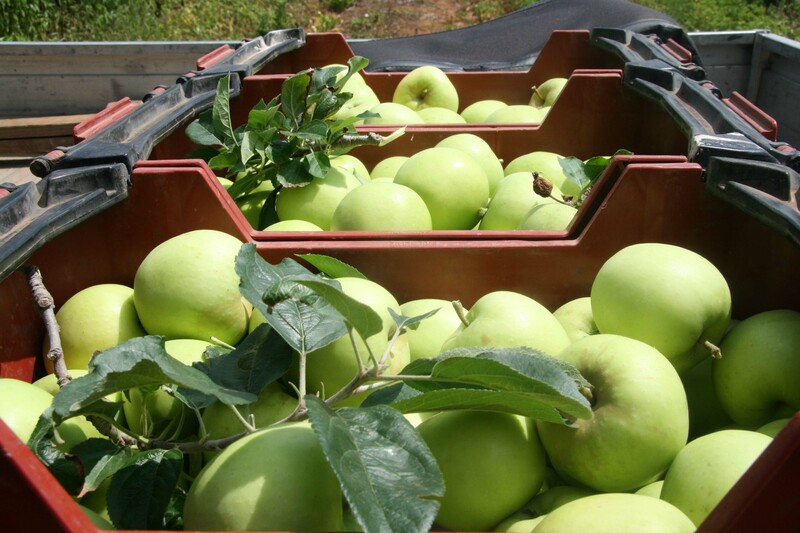 We are gearing up for that time of year again where we are full steam ahead in apple harvest. What better time than to have a look at an article that was written in June 2010. The article below was written by Katie and first published in Gourmet Rabbit. In my first memory of being on a farm in Nashdale (Orange) I’m about 6 years old. It is an image in my mind of a fresh, ripe apple hanging off of a tree on a drizzly morning, drops of water slowly dripping from its bright red skin. And I remember my first taste of this beautiful fruit that has fostered a career and a love for me. I remember the sweet, crisp crunch and the juices exploding in your mouth so full of flavour. I think it was a “Bonza” – no pun intended. I’m sure I had juices dripping all over my face and chin while I grinned. Every time I walk into a supermarket or fruit store these days and am confronted by greasy, unnaturally shiny, waxy apples, I cringe. You know, the ones you can practically see your reflection in? 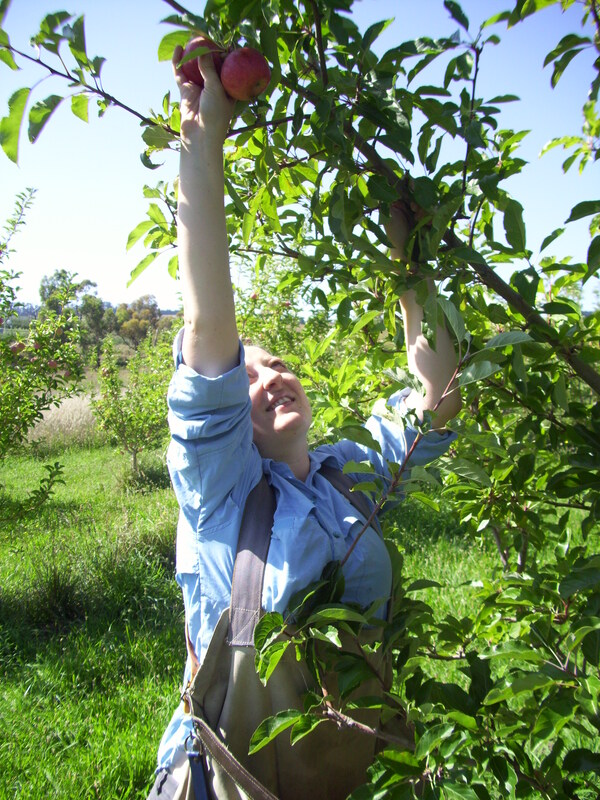 I think apples should be eaten as nature intended, and how they are picked straight from the tree – unwaxed. I run several farms around the Orange Region in New South Wales with my dad John and my husband Beau. I’m not an expert on the types or techniques of waxing apples, we do not use it. The reason behind waxing apples is primarily vanity. When apples are picked from the tree they have blemishes; spots caused by minerality in the soil, proximity to other fruit on the tree or even simple sunlight! The apples we pick are bright hues of green, yellow, red and pink, not fluorescent lights lined up like plastic childrens toys. 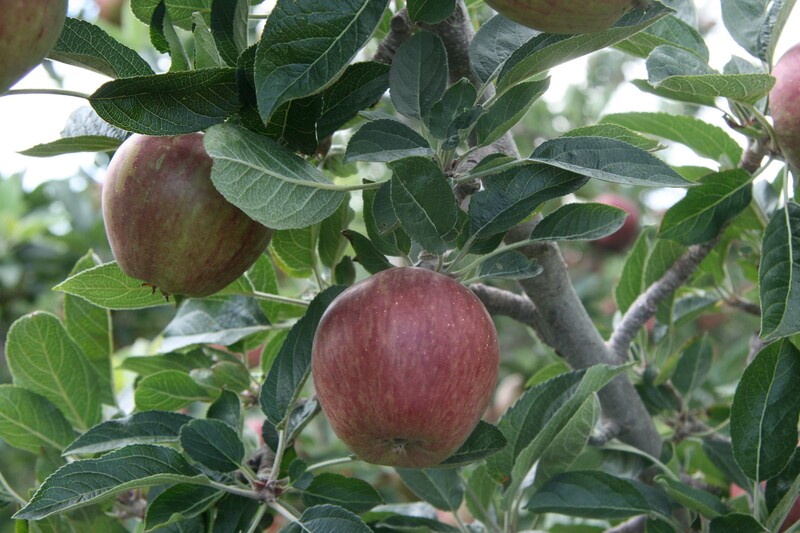 Our apples have an identity – and a taste to match! 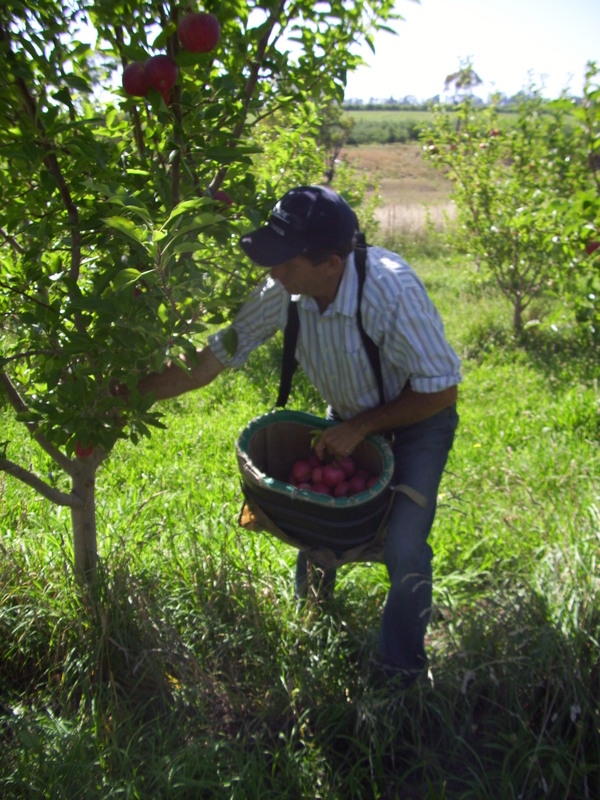 According to Apple and Pear Australia Ltd (APAL) in their document “Apples and Wax”, the brushing and cleaning process that large commercial farms use to get their apples ready for market ‘removes the fruit’s original wax coating, so to protect the fruit, apple packers re-apply a commercial grade wax’. Wax has been used on apples since the early 1920’s in Australia. It states that waxes are justified in several ways; to make the appearance of the apples more appealing, to protect them from losing crispness and moisture and to keep them longer. APAL notes that the most commonly used wax in Australia is Carnauba wax which comes from Brazilian palm leaves. The waxes used on fruit are apparently certified by Drug and Food administrations in Australia and around the world. Personally I’m not sure I want the same sort of thing on my food that I put on my floor..
As I said Carnauba wax is FDA approved but that does not change the many stories our customers have told us. Many customers have hesitated when buying apples from us as “the last time I ate an apple I felt ill and couldn’t stomach other foods” or “I just felt queasy from eating apples”. Could this have been caused by the wax added to their apples? Those customers of ours who used to get sick believed so and now regularly buy apples from us. These days we associate “natural” with “organic”, this is not always the case. Personally I am not stressed over whether or not the fruit I am eating is “100% organic”, “Organic” has a great deal of statues and legislative procedures and protocol inflicted on the producers which can often be more of a hinderance than a help. I am merely an advocate for fresh and great tasting produce, of any variety! If you live in a metropolitan area and are not already buying apples from a farmers market (or a great fruit and vegetable shop), get yourself to one asap (even ours if you are near by). Ask the stall holder (who will hopefully be a farmer) lots of questions and choose fresh, in season produce. If you live in a rural area that has a great supply of fruit and vegetables, buy local. You will be doing yourself a favour by buying the best tasting and freshest produce and also supporting your community! We just believe that unwaxed, fresh apples (conventional or organic) are the best! Interesting post. A fruit store owner once told me the wax used on lemons is a beeswax. Now I’m wondering if he made it up. I really don’t know what is used on lemons……it may be worth some investigation! 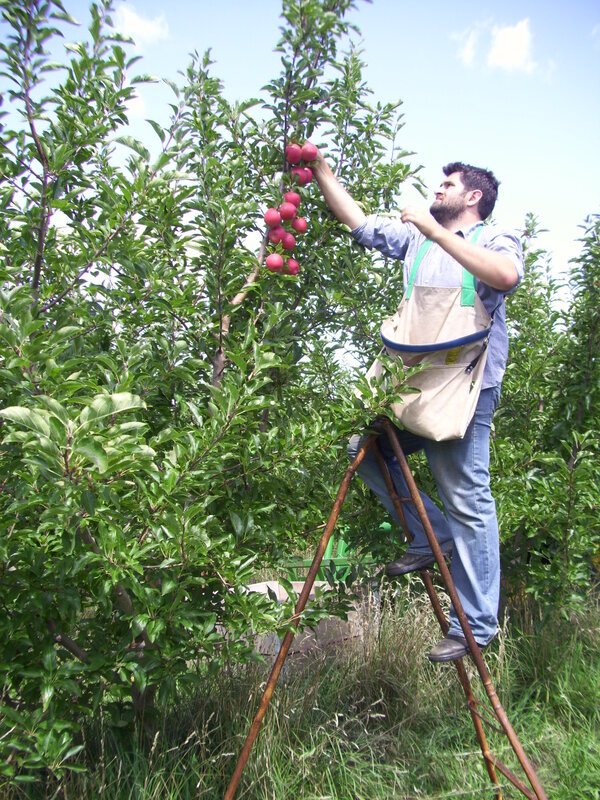 Have seen the TV commercial with the your person climbing an Apple Tree. The Apples are shiny. How did they do that, where can I buy a tree like that. Pick Your Own Apples is the way to go and you can do this from the Farm Gate Trail but fair dinkum, polished Apples on the Tree, give me a break. Perception is reality they say. Thank you for creating such an informative blog. I enjoyed some apples from your stall in Marrickville this morning – unwaxed, fresh and delicious. When buying my fruit and vegetable I am also not as concerned about them being certified as organic but I do want them to be fresh and I do love buying straight from the farmer who knows when things have been harvested, how they have been stored and how far they have travelled.